Read any article on beauty and you are bound to find the word “confidence” somewhere. Without a doubt, as women we feel better about our self-worth when we feel good about our appearance. Although it is certainly a catch 22, a more effective approach to satisfying this innate longing for beauty is to focus more on becoming confident. A beautiful woman radiates confidence, but a confident woman radiates beauty–no matter what her appearance. Ask any guy and he will tell you that women put too much work into beauty. It does take a lot of time to do treatments, applications and accentuations, but beauty takes a lot less work than building confidence does. Confidence is especially hard to build when we have had our hearts wounded. When we experience a traumatic event in our lives, whether it is directly related to our image or not, it makes us question our self-worth. We begin to think that if only we were more valuable we would not have been hurt. It is easy to conclude that our painful experience is because we deserve it or that we are not loved. Sometimes we internalize our belief with shyness, defensiveness or even humor. Other times we wear our heart on our sleeve with desolate or destructive behavior. It is not until we learn that our true value is not based either on what others think about us or what we think about ourselves that we become women of Confident Beauty. I believe the secret to truly understanding our value is in knowing that we were created in the image of God and in having a relationship with Him. You are valuable. I am valuable. It is not because we are beautiful; it is because we are chosen. It is not because of who we are, it is because of Whose we are. It doesn’t matter that others have condemned our imperfections; we are not required to be perfect. Though it hurts when others do not like us, we can still believe we are of value because we are loved unconditionally. Even when we fail completely and the ones we hurt refuse to forgive our apologies, we can be confident that we are forgiven by the Righteous Judge. You and I are intrinsically valuable regardless of how we feel, how we are treated or what we have done or experienced. If you are having trouble believing in yourself today, I encourage you to test your faith. Does your belief system cause you to HATE, HIDE or get HUNG UP on your self-worth at all? Instead of outfit shopping, perhaps it’s time to try on a new belief system. Don’t let your past define you anymore. The God of the universe died for your freedom, what could make you more valuable than that? Every human being is in search for significance. We want to be valued, we want to have purpose, we want to make an impact in our world. This may look different for each of us, but when we understand what drives us and how to BE who we were designed to be, we become powerful, productive people. We become CONFIDENT. And a confident woman is absolutely BEAUTIFUL. I suppose this is the very reason last Thursday’s DRIVEN conference was so successful. Women were valued. Their purpose was encouraged. They came together to encouraged each other and collaborate strengths in order to make a difference in their world. I was proud to be part of Cape Cod’s First Conference for Women. When I see a large group of women come together like that, I see a beautiful bouquet of flowers with a great array of sizes, shapes and colors, each one sharing it’s own fragrance and beauty. No two flowers–even of the same species–and certainly no two women, should ever be compared to another. Some may have withered a bit, others may have lost a pedal or two, but all of them have something to offer and that makes every one of them significant. The rose, the Classic, may be guarded at first, but when she opens up, her wisdom and strength helps to keep the rest of us on target. The baby’s breath, the Ingénue, may appear delicate and feel insignificant, but she has a way of giving the rest of us dignity by covering our weakness (like flower stems) and completing us with her beautiful creativity and attention to details. The orchid, the Romantic, may have seasons of holding back her beauty, but whether she is in bloom or not, her compassionate presence brings comfort like no other. The bird of paradise and the protea, the Dramatics, brings the enthusiasm and fun factor and their eye for excellence has a way of bringing out the best in all of us. The calla lily, the Gamine, keeps things happening and has a way of stopping our waisted efforts. Her passion inspires and motivates us. The daisy, the Natural, has a way of keeping us all calm, cool and collected. Her peaceful presence keeps all the excitement in perspective and her unpretentious nature inspires us to keep it real. Maybe it’s time we treat every day like a conference and turn our minds away from the competitive drive to compete with each other and instead become more compelled to complete each other. Because a small bouquet of one kind of flower is lovely, but an array of various styles working together is not only driven, it’s DYNAMIC. In honor of Valentine’s Day and the “Celebration of True Love” that I just attended in RI, I would like to break down a small piece of a beautiful poem written thousands of years ago. Some scholars believe this poem is written about Christ and His church, others believe it is simply about the author, King David, and his bride. Personally, I believe it is like a double edged sword which cuts to the heart of the matter on both accounts. Whether it’s our relationship with man or Lord, there is much wisdom to glean from these few words. It does not have to be perfect, it does not have to follow any formula or fashion. Beauty is in the eyes of the beholder and as long as it is not withheld or propelled, it is greatly desired by the one who longs to be your beholder. Nothing on Earth is desirable to everyone, there is no reason that we should put the pressure on ourselves or each other to meet any standard of beauty. Not even identical twins should compete in beauty. The things we see as imperfections, our beholder sees as unique design. Your beauty has a powerful purpose. Like the flowers we give to the sick and grieving, your presence is meant to bring comfort and encouragement. Like the beautiful resorts we visit when we need a vacation, being with you should revive the weary and strengthen the weak, because that’s what beauty does, and that is why God made women beautiful and it honors Him to live in our purpose. We must be careful not misuse our power for our own honor because when we HATE, HIDE or get HUNG UP on our appearance, our presence doesn’t honor anyone. Whether King David was directing this message toward his wife or not, the commitment of marriage is a wonderful reminder that true Love completes; it doesn’t compete. It really doesn’t matter where you come from or what you look like, when you are accepted into a royal family, you become royalty. This is the essence of Confident Beauty. 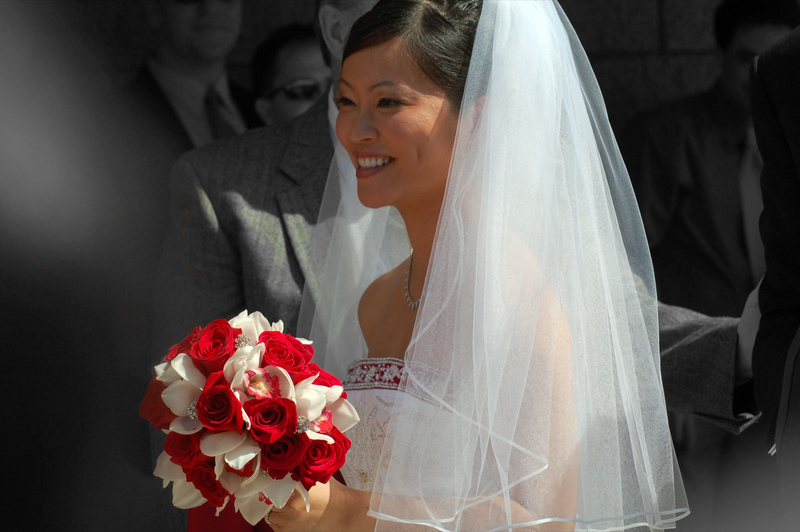 Married or not, a woman who knows she is loved unconditionally radiates true and powerful beauty because her failures are forgiven and her imperfections are accepted. She is empowered to BE who she was designed to be with freedom and authenticity. My best friend is one of the happiest people I know. Everyone loves to be around her because her joy and enthusiasm for life is contagious. Many of us go to her when we feel down because she not only listens and cares, but she has a way of finding something funny in our miserable stories and her signature laugh breaks the bonds of any depression. 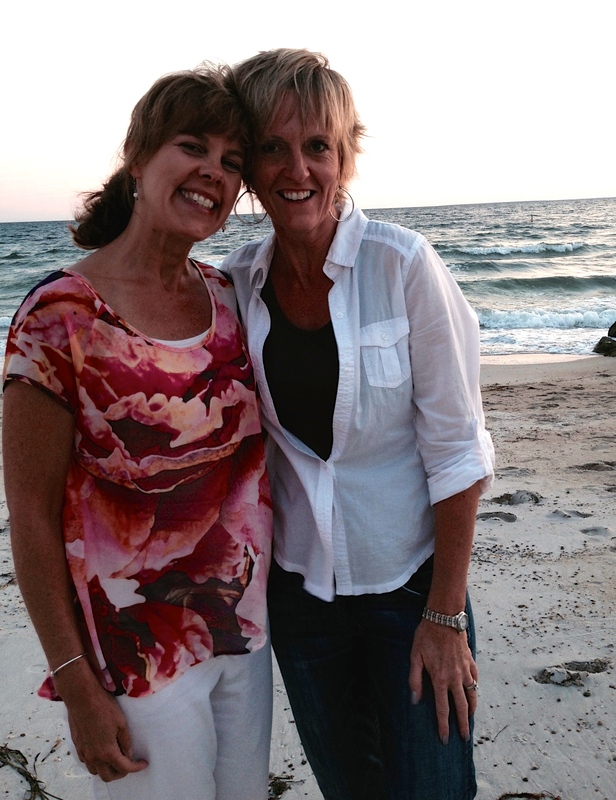 I am so thankful to have a friend like Joann who makes life so much more enjoyable. But I know her well enough to realize that she, too, has difficult days. When you first encounter her cheer, you may think she faces no confidence conflicts, but I know that one of her great challenges is the condemnation she has gotten for being so happy. Misery loves company–if that company is also miserable. Joyful company to someone who wants to bask in their sorrow is like salt in a wound: It may bring healing, but it hurts. Picture a patient snapping at her nurse as she tries to clean out a cut and that’s what I’ve seen happen to my beautiful friend for greeting someone cheerfully. I’ve done it to her, too. Like March 1, 1999. I didn’t know it was my last day taking care of my sick baby, I only knew I was weary, worried and wanting my friend to cry with me. She cheerfully told me her day was too full. She’d already sacrificed many days to help me but that day I resented her happiness as she went on with her life when mine was still in turmoil. It takes extreme circumstances for me to be offended by this close friend, because I know her heart and it is good. How foolish I would have been to hold a grudge over something so small when I needed her so desperately to help me deal with something so big. Strangers may judge a joyful heart as phony or naive. But anyone with insight knows joy accompanies more than happiness. We all need to be more thankful for the people in our lives whose predominate continence is joy. No human is without pain but those with faith that “joy comes in the morning,” who are able to find the good in the midst of the difficult are the ones we all need to be around. If you find yourself feeling a bit down this Thanksgiving, I encourage you to choose your company well and don’t just go with your first impression. Get to know the heart of your company. If you are feeling misjudged, or outcast or lonely remember that nothing makes a woman more beautiful than a cheerful (and confident) heart and nothing robs her beauty more than misery. Seek after the joy that gives you strength. If your life is full of difficulty right now, realize that you are not a phony by being joyful. Would you join me in looking for the good and putting on an attitude of gratitude as if it were a beautiful garment? When we, like Joann, wear joy in the midst of unhappiness, fear or sorrow and we, too, can break the bonds of depression around us.